The new smartwatch from Apple is available in aluminum and stainless steel finish. The much-anticipated Apple Event is over now, and everyone is busy in digging more about the products that the Cupertino based company unveiled. One of the major highlights of the Apple event was the launch of Apple Watch Series 4. It is the next series of Apple Watch that succeeded Series 3 smartwatch. Apple Watch Series 3 itself was a masterpiece, and now with Apple Watch Series 4, the tables have turned for good. 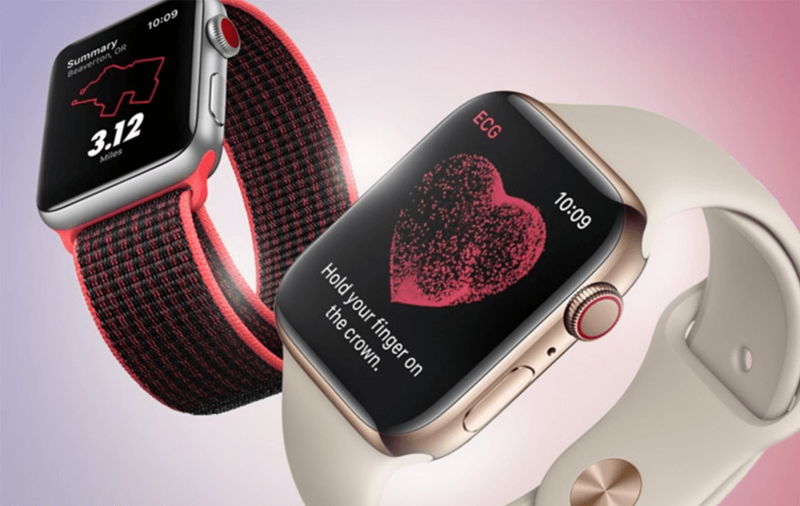 With the introduction of the new smartwatch, Apple has cut down the price of Apple Watch Series 3, as it will help the company to garner more sales of its smartwatches. 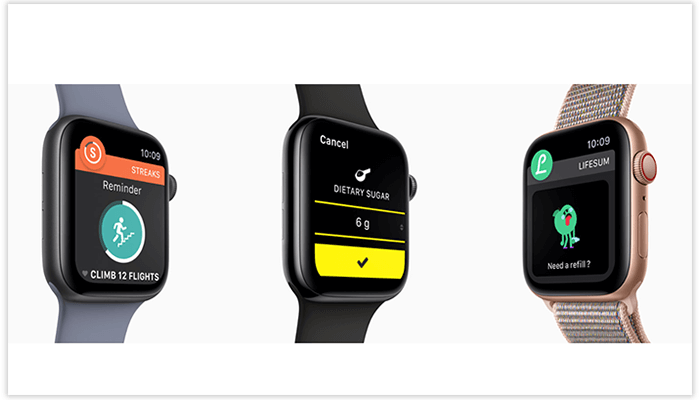 Apple has also added the watchOS 5 in its latest release that is expected to take it one step ahead of its rivals. If I go by the review point of view, there is still ample room for improvement, but as of now, let’s focus upon the features that make it really a smart wear. 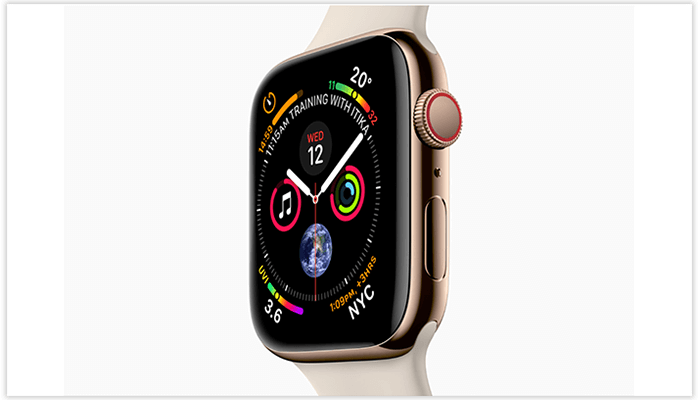 There is no denial in the fact that Apple Watch Series 4 is built upon the base of Apple Watch Series 3, but with new tweaks like design change, larger display, thin bezels, new health, and safety features, and more, the smartwatch is worth experiencing. The smartwatch has got two new watch faces as Infograph and Infograph Module. Longer battery life for outdoor use. Haptic feedback in the Digital Crown. GPS-only: This model lacks access to LTE which connects to the Internet without Wi-Fi or the iPhone. It comes in 16GB storage option and costs $399 for the smaller 40mm and $429 for the larger 44mm. GPS+LTE: As the name suggests, this model comes with the LTE support and one can pay monthly to access this service. With the LTE in hand, you can make phone calls, send messages, use Siri, stream Apple Music and podcasts, share location and much more. Series 4 is available in 40mm and 44mm variants that cost $499 and $529 respectively. The model has a stainless steel variant also that start at $699 for 40mm and $749 for 44mm. Apple has offered Watch Series 4 in aluminum and stainless steel finish. The colors available for the aluminum finish are silver, space gray, and gold. For stainless steel, it is silver, space black, and gold. 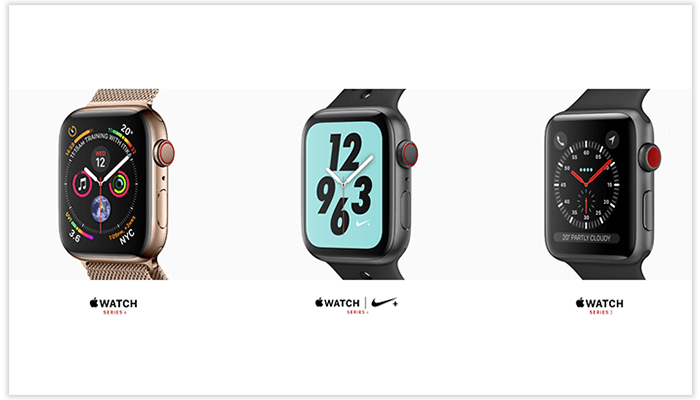 To add the cherry to the cake, Apple has made available its new smartwatch in the Nike+ and Hermès collections. PREVIOUS What Are The Reasons For Mobile Apps Fail?